« Day 93 in Beijing: Four Friends. 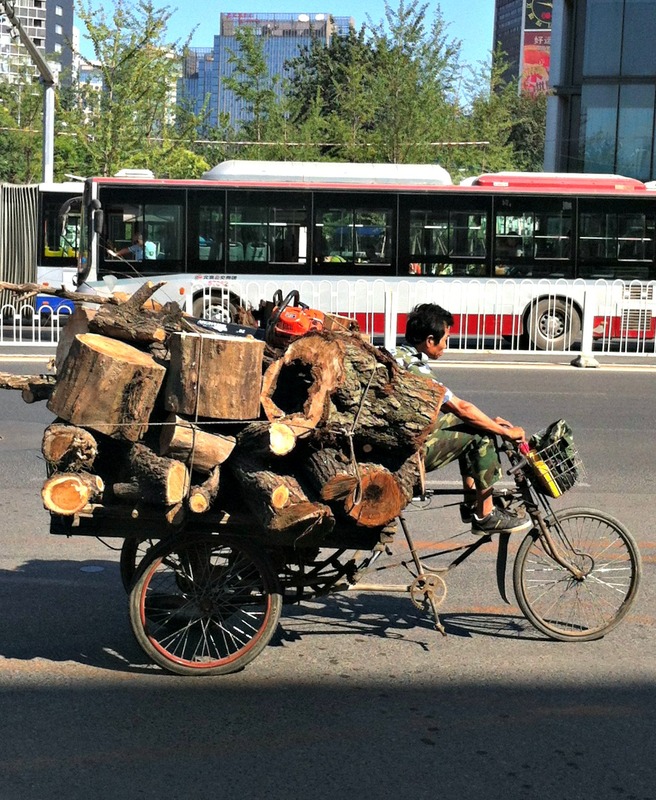 Day 94 in Beijing: They See Me Rollin’…I’m Not Hatin’. 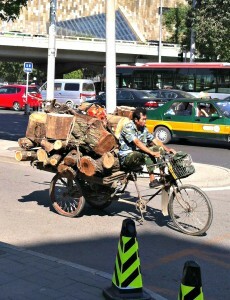 I am continually impressed with how much stuff people can carry on their bikes in Beijing. I’ve seen loads of recycling, garbage, cardboard and other things trucked around. 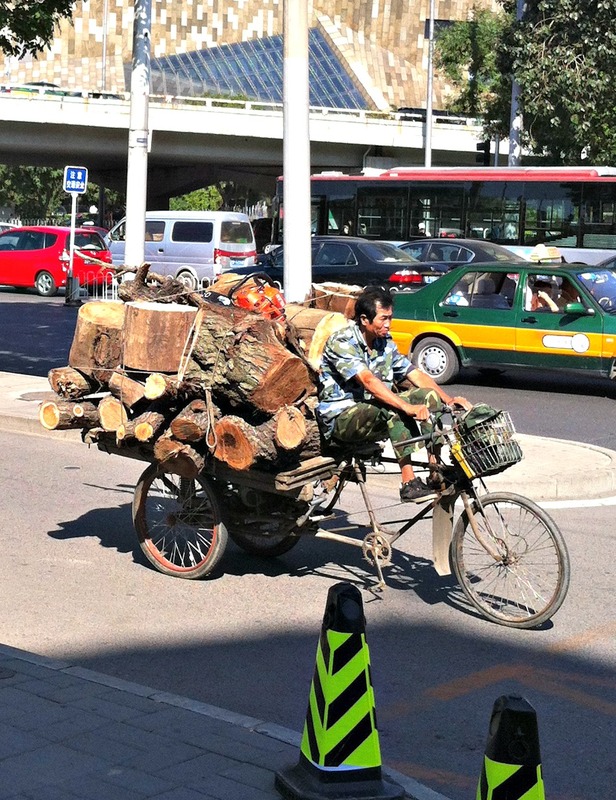 I had yet to see huge logs on the back of a bike. I honestly stood there, saw him rollin’, and just watched him. I was almost too stunned to take the pictures. The weight of load to the strength of bikes does not seem possible, and yet, they make it work. Notice the placement of his shoes: This bike is electric and cruises at about 5-6 mph. He basically just steers it and it goes. Many of these bikes don’t even have chains anymore. I’ll try to take more pictures of the huge payloads that people have put on the back of their bikes and post them.